A bit of googling proved that the original had been very popular, and I stumbled across someone selling one on ebay. This was great because they had kindly taken some close up photos of the bodice, so I was able to see the details. I'm not going to post the close up photos because they are not mine, but here's a photo I found from the shop. It has a semi loose fitting bodice with gathers at the waistband to shape the bust, then a separate waistband cut on the bias which is top stitched. The button placket looked like it is cut in one piece on the bias in the larger gingham, as the larger gingham is also on the inside of the placket, and there is no seam along the placket edge. The outside of the placket is also top stitched. It seemed to be lined with the smaller gingham, as that could be seen to the inside attached to the placket. There weren't any photos of the back, but I could see in the photos of the front that it is lined in the small gingham to the middle of the armholes, about where a back yoke would end. 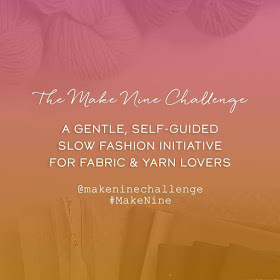 This made me think that there might be a back yoke, and also there are diagonal seams on the front shoulders that would suggest a yoke coming over the shoulders. There is also a little gather at the bottom of the yoke like on McCalls 6696. The skirt is a simple gathered skirt, and the collar a convertible collar with rounded ends. The sleeves are short with gathered heads, and it looks like a little bit of gathering at the bottom. They are edged with bias cut small gingham. Made a waistband that is 2 inches (5 cm) wide, the bottom of the waistband sits at my natural waist. The bodice has bust and waist darts as I wanted a more fitted dress. Made a 1 inch (2.5 cm) button placket as my buttons are 1/2" (1.2 cm) wide . This placket had me scratching my head. I originally planned (and toiled) a one piece, folded over placket in the large gingham with facings in the small gingham. But in an 11 hour change of mind, I made the outside placket from the large gingham, and the inside placket and facing all in one with the small gingham. Both placket and facing are cut on the bias. I like the look of a yoke back, but not on me; so just went with an ordinary darted back. My skirt is the full skirt from McCalls 6696 because I love it, and the collar is my convertible collar. The sleeves are capped sleeves edged with bias cut small gingham. I put in an invisible side zip with a pocket, using my own tutorial - I'm guessing the original must have a side zip too. Construction - I stay stitched all the edges of the waistbands so they wouldn't stretch, as I knew I'd be doing a bit of work on the bodice before attaching the skirt. Once the top of the waistbands were attached to the bottom of the bodice, I overlocked them in one go with the bottom edge of the bodice. I did the same with the top edge of the skirt once it was attached to the waist band - this is what's in the photo above. The large gingham placket was interfaced with some very lightweight interfacing to stablise it and also to stop the outside edge from stretching. I also interfaced the facing as normal. Here are a few photos of the placket on the right and wrong side, so you can get an idea of how it's constructed. I wish I'd put another one or two buttons on it though, and I might sew a pop fastener on the placket level with the bias waistband. Outside with large gingham placket cut on the bias. Inside with small gingham facing, the top shows to the outside when the top button is undone as below. My convertible collar was drafted from a book called "Metric Pattern Cutting For Women's Wear" by Winifred Aldrich. 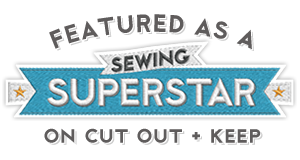 It's also in one of the Craftsy pattern drafting classes, "Patternmaking and Design: Collars and Closures", and it's called a camp collar in the class. I haven't found a definitive definition of a convertible/camp collar, but it seems to me to be exactly the same as a shirt collar, but it's all in one piece without a pesky stand to sew too. It meets at the centre front in the same place as a shirt collar, and buttons right up to the neck - you can see this in the photo below. If any experts know more, please enlighten me! I absolutely love this dress, it is now one of my favourites, and I intend to wear it to death! Thank you! That Craftsy class is brilliant, the bit on partial roll collars is my go-to collar drafting reference. This is AMAZIMG I'm in awe of your gingham skills! Thank you!! Who doesn't love gingham?! Lynne, it's lovely. The way you have used the gingham on the bias is so clever and looks amazing! Thank you! I'm just glad the bias didn't stretch when I was making it. Super cute! If it was my dress I'd be wearing it to death too. Thank you! It is now in constant rotation in my wardrobe! 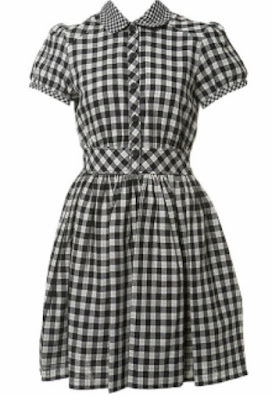 Stunning dress, I love the gingham and the way it goes in different directions. The fit looks fab and I think it's better than the original. Thank you! I'm really pleased with the fit, and it's so confortable to wear. This is really lovely. Great use of gingham. I can see why it's become one of your favourites - it's gorgeous, and an excellent copy of the inspiration dress. Love the mix of the different ginghams - lovely. Your smile says it all. Thank you! It's definatley one of the best things about sewing! 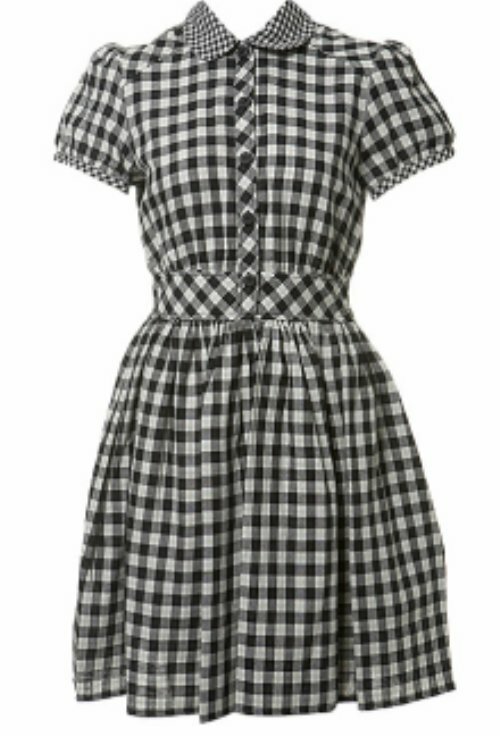 I totally love this - black and white gingham always looks really cool and it will be great either in summer or in winter with tights!